For any project you can make purchases, with the budget being assigned to the project. You can initially define an estimate and subsequently assign the purchase invoices and so calculate the actual value within the budget. 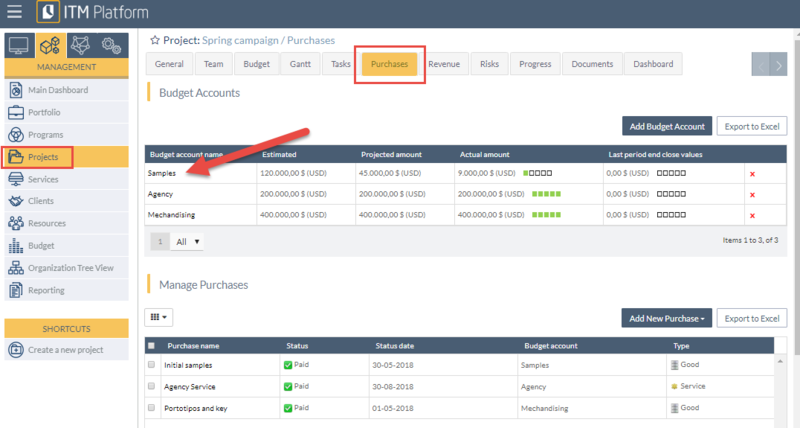 Go to Projects 1 from MANAGEMENT, select the project and click on the section Purchases 2. Add a new budget account and enter the budgetary item in the corresponding budget.